I wonder sometimes if I haven’t changed over the last several months. These are tough times here where I live, and it seems like many of the things I believe in, the things I was taught in school, don’t really apply to today’s America. Or maybe this is the America that was here all along, but it’s just showing itself in a more public way. I realize just reading that can inspire different interpretations based on your political leanings, but this is not about that. Regardless of how you look at things, there seems to be a lot to worry about. I’m getting older… there’s that. And, of course, health care is multi-faceted and multi-argued, and it probably will be for the foreseeable future. Where I can, I’m trying to be a better friend, a better colleague, a better person overall. However, in some ways, I fear I’ve become a less happy person at times. Let’s face it… I think we’re all feeling a little more stressed out these days. That’s why this community, this diabetes community, is so important. Photo courtesy of The Diabetes Collective, Inc.
That photo is from the second Diabetes UnConference. There are a number of friendships that begin on UnConference weekend that continue far beyond the event itself. Friendships that stick to you. Friendships that restore your faith in people. Friendships that make the time apart from each other seem interminable, and the time spent with each other flash by in a nanosecond. 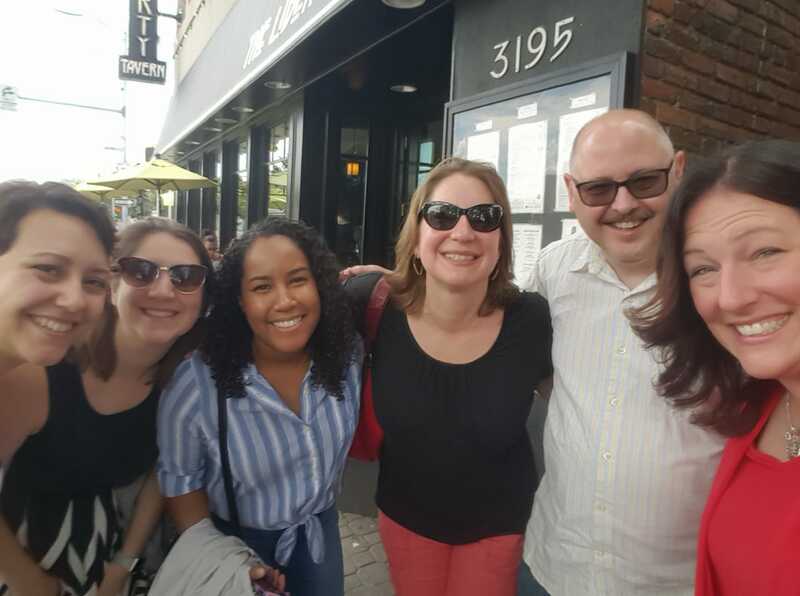 Whether it’s virtually, or over brunch like it was this past weekend, being able to communicate with others who walk the same stretch of road you walk can have a huge, positive impact. There’s something about the feeling you get knowing that you belong, not because you’re famous or independently wealthy or part of another special group… but because you’re stuck with a condition that no one wants. And someone else is too. It’s the feeling that amazingly, something about this crappy disease is worth celebrating. Photo courtesy of Rhonda B. Does this mean we’re not going to experience problems? Of course we are. Life doesn’t go away just because we get to spend a couple hours in the presence of friends. But those two hours certainly make those problems a little more bearable. I think that’s the point. Even when we’re up against deadlines and doctor appointments; projects and finger pricks; goals and glucose issues, we have our friends to lean on, who understand, and just help us forget about the drag of diabetes for a while. Now, more than ever, we all need friends who remind us that there’s more to life than the next big thing to complain about. If you don’t have one, I encourage you to find one or more friends, virtually or in person, who will accept you for the contribution to community that you truly are or wish to be. Looking to make new friends? Want to talk about diabetes in a safe, supportive atmosphere? The Diabetes UnConference is coming to Northern Virginia October 13 – 15, 2017. This fall, the UnConference is being co-hosted along with the Diabetes Sisters Weekend for Women. Two chances to make new friends! To learn more, and to start the process of making new friends in the diabetes community, CLICK HERE. So many questions. Damn few answers. They represent the residents of their states in the United States Senate. – They must be at least 30 years old. – They must be a U.S. citizen for at least 9 years. – They must be an inhabitant of the state they represent. As a citizen of my country, I have a right to expect that members of the United States Senate are serving the people they represent. All of the people they represent, whether those people voted for them or not. I mean, how many of the corporations spending money to help them get elected are actually domiciled in their states, right? After a lot of closed door scheming, the Senate majority leader decided it would finally be okay to release the onerous upward-wealth-distribution-disguised-as-healthcare legislation he intends to have a vote on this week. On the surface, it would seem that the party in power might have trouble getting the necessary 51 votes to pass their death sentence to Americans. They only have a 52 to 48 seat majority, plus the Vice President available to break any ties, if necessary. That means if they have 3 defectors on this legislation, they won’t be able to pass it. But… obviously, stranger things have happened in politics, especially in the past year or so. The majority is not taking any chances. They are working hard, maybe harder than they worked on the legislation that they’re trying to ram down people’s throats, to change the minds of the five or so GOP senators who are Nos at this point. Well, I don’t have to be the second coming of Alexander Hamilton to know that this is not how American democracy is supposed to work. I don’t have to be the second coming of Edward R. Murrow to know that American citizens have the right to know what their elected officials are up to, and what they stand to gain from turning their backs on American values. I don’t have to be the second coming of Rev. Martin Luther King Jr. to see that not only partisanship, but racism is alive and well in the U.S. Senate. I have a lot of questions. Why do they think that saving money should be the only criteria for what they’re doing? If your child is sick, aren’t you going to do whatever you can to help them feel better, regardless of the cost? Why doesn’t congress feel this way? Why is there a wealth distribution toward the already excessively rich tied to health care? Additional questions include: What are they so afraid of? Why must it be rushed through to a vote? Why do these Republican senators hate the Americans they represent so much? To be honest, I think they hate the previous president more than they hate me. They really hate the previous president. You and me, they couldn’t care less about. Why else would they want to take away pre-existing condition protections? Why would they want to subject hospitals, care facilities, and Americans like you and me to potential bankruptcies? Why would they want to kick veterans off of Medicaid? We’re left with a lot of questions, and damn few answers. How do we make health care better? That’s a goal that every American would be happy to support. Including this American. Use it to contact your elected officials and encourage them to vote No on BCRA. The Dexcom G5 Mobile App. I’m a fan. 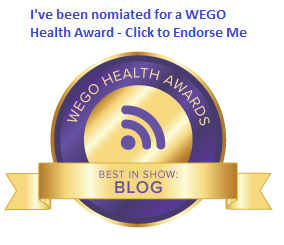 After last week’s whiny post about how I’ve been so disappointed in my diabetes devices lately, I feel compelled to let the pendulum swing in the other direction and give credit where credit is due. About a week and a half ago, Dexcom rolled out its G5 Mobile app to Android users. Finally. Okay, I said I would give credit where credit is due. And kudos to Dexcom, who, as far as I can tell, is the only device maker to develop software to use on an Android platform. Yay! 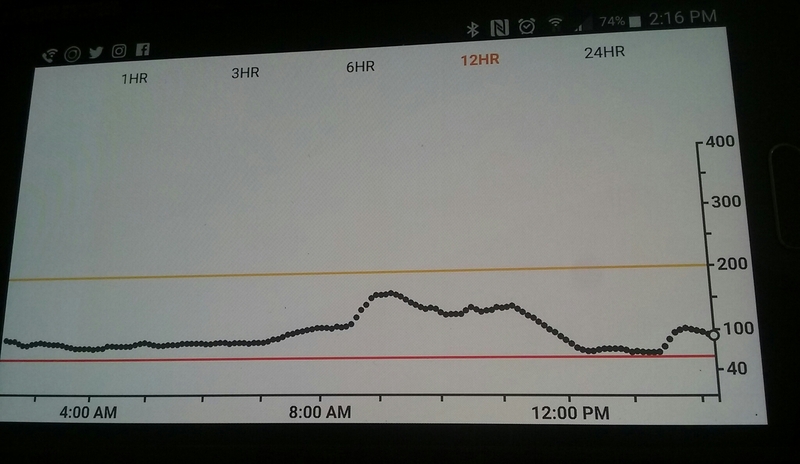 I know all of you iPhone Dexcom users are yawning right now, but please give me a moment to be happy too. I’m a person who can appreciate the wonders of a good smart phone, but I can’t bring myself to pay hundreds of extra dollars because there’s an image of an apple on it. After years (literally, years) of waiting for an Android option, Dexcom has come through. Among other things, this means no more carrying around the receiver. I’m a guy who carries too much in my pockets already. I do not need one more thing to lug around, and even though the receiver wasn’t too big, not having to carry it around feels like a big weight off of my… pockets. In addition, I’ve finally completed my Clarity account setup, which means my endocrinologist can get my Dex data too. No more downloading the data at the office visit. She’ll have it already. Cool, huh? I’m getting the hang of navigating the G5 Mobile app. It took me a couple of days to realize that I needed to turn the phone to landscape view to be able to see more than the last three hours’ worth of data. Once I do, it’s just a push of a button to view my data in 1 hour, 3 hour, 6 hour, 12 hour, or 24 hour increments. If I hover my finger at any point in the graph, it will show what my reading was at that very point. And I have to admit to having a little fun with the alert sounds. Instead of the basic Vibrate, soft, attentive, etc. settings available on the receiver, I have 23 different sounds to choose from. 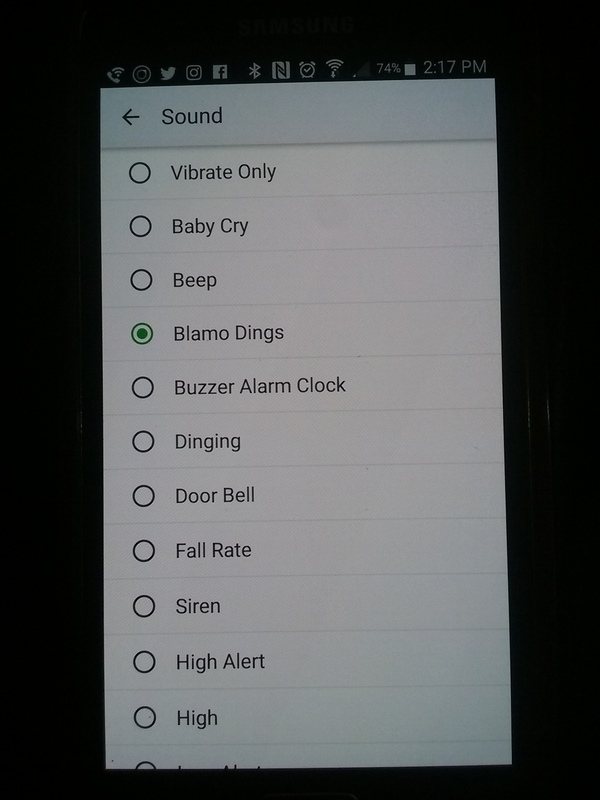 So if I want to have my low alert set to Truck Siren or Blamo Dings, I can do that. Nice touch. I get that making an app work on two different platforms is extra work, but I am SO HAPPY that Dexcom has made the effort. Reducing the burden of managing diabetes is a good thing, and to that extent, Dexcom has done it. The Dexcom G5 Mobile app for Android users is available for free in the Google Play store right now. My apologies for the off-center views of my phone screen. Security features built into the app will not allow for a screen capture, so I had to take photos of my phone screen. 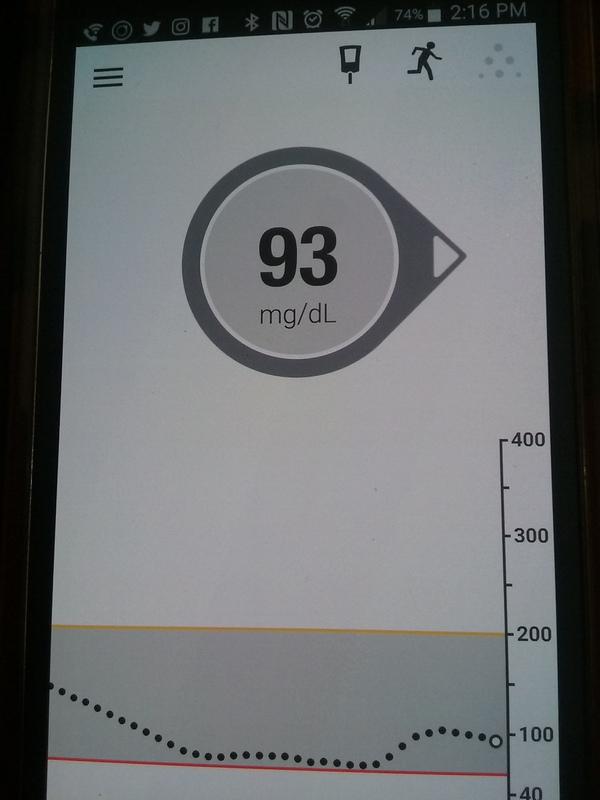 Disclosure: I was not given anything or asked to write anything about the Dexcom G5 Mobile app. All opinions are, as always, my own. Many of you know that my job has seen a few changes lately. After over 19 years as part of my company’s Human Resources department, I am now in Technology. That transition hasn’t been too difficult. I was really doing technology-related work anyway, and my daily duties haven’t changed much, though they’ve changed a little. The team I work with now has been very welcoming. It’s been about as smooth as I could have hoped. But (and you knew there would be a But)… I’m working with a new group of people, on a new floor. And most of them don’t know that I live with diabetes. It took me years to get my HR colleagues comfortable with my diabetes. How am I going to transition my diabetes to a new environment? Well, I have a few things going for me. First of all, I am not the same person who walked in the door of my company with barely seven years experience with Type 1 diabetes. Also, I know way, way more about diabetes, how to manage diabetes, and how to advocate for myself than I did back then. And my company has changed too. We’re not the same white shirt, dark suit wearing uber conservatives that we were in 1998… though no one could ever accuse me of being a white shirt, dark suit wearing uber conservative, then or now. Today, as a whole, we’re much more accepting, much more caring. It helps too that one of the people on my team, two desks down, wears exactly the same insulin pump that I do. We might be the only two pumpers in the entire building, maybe the entire company. So in the diabetes respect, I am in a much more advantageous position today. But even if I weren’t… how would I deal with it? How do I express and educate others at work about diabetes? Pretty much the same way I do now. By being open enough to do BG checks at my desk, and my new desk is in one of the most conspicuous places on our floor. By checking my CGM in the middle of a meeting. By sharing things like clinical trial participation and my volunteer work with DPAC and the Diabetes UnConference. Sometimes, by shocking my co-workers, eating a cookie or two that someone brought in. Or by turning down a cookie or two and doubling down on water when my BG is high, and explaining that. Now, it would be easy to say I do these things because I’m a diabetes advocate, and because I want to set a good example. Because I can hopefully help someone who encounters another person with diabetes understand. All those things are true. But I also do these things because I just don’t have the patience anymore to bring people along slowly on my diabetes. They work with me, they should know about the diabetes. I’ve survived 26 years with this condition. I think I’ve earned the right not to keep it to myself until I’ve made them comfortable enough to handle it. Work is hard sometimes. Diabetes can be hard all the time. I like to think that people are stronger than we sometimes give them credit for. My new co-workers are nice. My only advice: don’t sell your co-workers short. They can handle your diabetes. And if they can’t? Better you know now. Don’t give yourself overtime trying to figure out how to ease them into the diagnosis you’re already living with.